If you know a little about my background, I am sure you have a question. How does a guy from Pennsylvania happen to meet a group of exciting Chinese social innovators? For that we can thank Ashoka and Harvard SEED for Social Innovation. Ashoka is an organization that promotes social entrepreneurship and changemaker education around the world. Selected because of my social innovation work in higher education, I am proud to be an Ashoka Fellow in the United States. Harvard SEED stands for Social Responsibility, Empathy, Empowerment and Dedication. 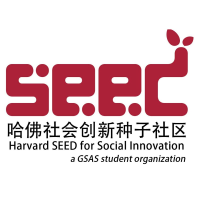 A student-led initiative of Harvard’s Graduate School of Education, SEED provides social innovation learning camps for outstanding young Chinese social innovators. This spring, SEED convened its fifth camp in Cambridge, Massachusetts for an inspiring new group working on a diverse set of social problems and opportunities in China. I was honored to join the faculty again this year, along with Ashoka’s Amy Neugebauer. Thanks to an effective translator, I was able to listen to the small groups process this question. There was a strong diversity of opinion within the clusters. An excellent dialogue unfolded in which the fellows grappled with many meta-questions: What is the difference between the user and beneficiary in a social innovation? What is the difference between the interests of sponsors and beneficiaries? Does the concept of a user include more extended constituencies and stakeholders? How do the needs of users, beneficiaries, sponsors and stakeholders evolve in response to social change within the community? Should a social entrepreneur or innovator shape what these audiences want? What is the balance between individual, community and societal concerns and values? The rich and respectful dialogue yielded new learning and insights. During the closing conversation, one of the innovators summarized: “There is no right or wrong answer; the value is in the question and the dialogue to yield deeper understanding; the value is in the process.” Amen. Great work, Janson. I asked one of the translators, a Harvard student at the Graduate School of Education from China, if this kind of workshop featuring reflective, interactive dialogue was the norm in Chinese higher education? “No,” she answered, explaining that lectures are the norm in China and that learning to have such interactive, multilateral dialogue was part of the benefit of her studies at Harvard. I responded that, while we are making great strides to do more of this kind of learning in the United States, there is so much work still to be done. In both China and America, when we learn to value questions more than the answers, when we learn to think long and hard about how to make positive change in the world, about how to collaborate and how to live in peace and harmony, we connect with a deep yearning for wisdom in the human spirit that cuts across cultures, geographies and time zones. In this yearning, we can see the profound connection among Confucius, Lao Tzu, Socrates, the Buddha and Jesus, among many other sages across the ages. The yearning for wisdom reflected in the profundity of good questions is the fertile ground in which SEED is sowing a powerful future for China and for the world. To read the entire article about my experience with SEED, click here.